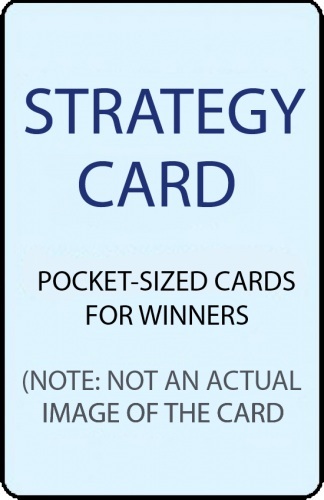 Blackjack Science designed and produced this set of two pocket sized cards, on plastic stock the size of a casino player's card, that contains Basic Strategy for three different rules and one for departures as shown below. Our method of teaching Basic Strategy reduces the decisions required to be memorized from over 300 to less than 28. Players taught with this method learn quicker and make fewer errors in their play.